Of the many new SUVs released this year, the Niro is one of the most exciting. For the first time, there’s an SUV that achieves over 50 mpg while managing to look good doing it. Given Kia’s increasing reliability reputation and exceptional warranty protection, we think the Niro is one of best SUVs you can buy today! 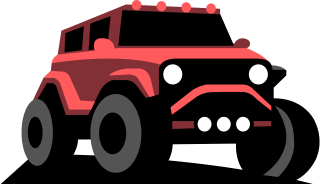 Can you drive over 600 miles on a single tank of gas in your SUV? Chances are, probably not. In this little Kia crossover, you can! The best part? You don’t have to do it in a vehicle you’re ashamed of driving. The Niro is a hybrid we’d be unashamed to drive. It has a refined interior that’s comfortable enough for most and offers the latest in convenience technology, including Apple CarPlay and Android Auto standard. There’s plenty of leg and headroom in both rows despite its size. All this with a base price of just $22,890! 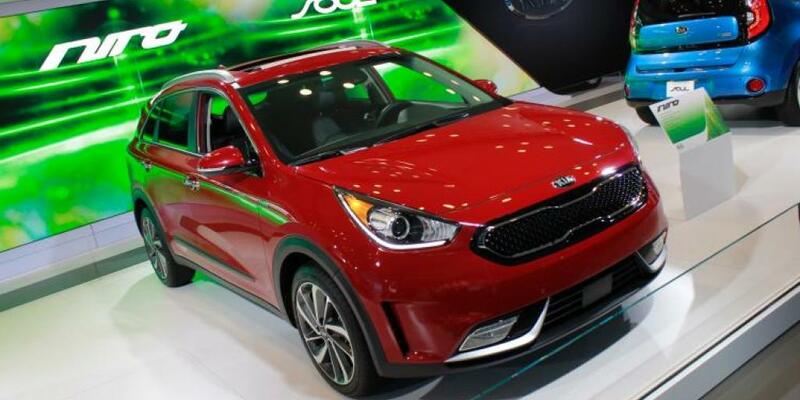 We think the Kia Niro is ahead of the market and many automakers will struggle to catch up with an SUV this well-equipped at such a low price! You won’t win any suburban drag races with the 1.6 liter and electric engines’ combined 139 horsepower. But then again, that’s not the point! Kia really has done something amazing here. They’ve made a hybrid SUV with a proper gearbox, a six-speed dual clutch automatic. The effect is a hybrid with more traditional driving dynamics. Push the “Sport” button and it’s even livelier. The Niro is about a second quicker to 60 mph than the Prius at roughly 8.5 seconds, depending on which trim you choose. The Touring’s 18-inch wheels make it a little slower than the FE, but provide better lateral grip and increased handling abilities. Again these things probably don’t concern the prospective hybrid owner, whose priority is probably efficiency. Speaking of, the Niro is capable of up to 54 mpg depending on how you drive it. When driven hard, reviewers reported efficiency numbers as low as 33 mpg. This is different than the Prius, which can be driven hard whilst achieving much higher fuel economy. This is a function of CVT and powertrain combination in the Prius that’s different from the Niro’s. These numbers still supersede those of all other subcompact SUVs by quite a lot. Considering it’s by no means the slowest subcompact SUV, the Niro offers one hell of a bargain when it comes to performance. Slide inside the Niro and you’ll find a tastefully designed interior with a soft touch dash and armrests with contrast stitching. The beauty of this cockpit lies in its simplicity. The controls are logically laid out and well within the driver’s reach. The gauges are large, brightly lit, and easy to read. Between them a 4.2 inch TFT LCD displays useful information that can be sorted through with steering wheel mounted controls. Instead of a tachometer, the Niro has an energy flow diagram that monitors the efficiency of your driving habits. The climate control system is managed with simple controls that prioritize function over form. A feature unique to the Niro is a “Driver Only” button that, when pressed, efficiently manages energy use by only cooling the driver’s area. The UVO 7 inch infotainment system includes Apple CarPlay and Android Auto standard, allowing you to efficiently connect your smartphone to make calls or stream audio. The optional Harman Kardon premium audio system will please even the snobbiest audiophiles. The Seats aren’t as good as others in Kia models tested, but they are supportive if a bit firm. There’s enough legroom to snugly shelter two adults in the rear, maybe three for short trips. The rear seats don’t recline but their angle is optimal. Unlike the RAV4 Hybrid and Rogue Hybrid, the battery is stored beneath the rear bench to allow more cargo capacity in the trunk. This allows an impressive 54.5 cubic feet of cargo space with the rear seats folded and 19.4 cubes with the seats up, enough for most hauling applications. All but the lowest trim has additional storage beneath the cargo floor to stash valuables or anything else you’d like to keep from prying eyes. The Niro’s interior is exceptional for the price, it’s not as nice as the Rogue Hybrid. However, that’s a larger, much more expensive hybrid. When compared with other Hybrids on the market, the Niro is a standout for its appealing looks. It’s actually shorter than the Prius, its most direct competitor, but looks like an SUV rather than a hatchback. We think this should help the Niro do well in the US market that loathes hatchbacks for whatever reason. The Niro looks modern and stylish with soft lines that accentuate the fact that it’s definitely not a hatchback. The front fascia is dominated by both the unique black grille and a large lower intake flanked by fog lights in all but the lowest trims. The modish LED daytime running lights enhance the Niro’s upmarket intentions. The rear wears a roof spoiler and yet another set of LED lights, reminiscent of a German rival that sells a ton of SUVs. The top trim wears some rather interesting footwear that’s part rim, part optical illusion. The roof adorns a nifty set of low profile roof rails that reinforce its sport utility designation. We think this sub compact crossover is one of the best looking hybrids on the market. Neither the National Highway Traffic Safety Administration nor the Insurance Institute for Highway Safety has crash tested the Kia Niro. We have to wait until these crash tests are conducted to give you a definitive opinion. Considering the Niro has the same advanced safety technology and airbags available in other Kia models, we anticipate top safety ratings from the Niro. The Niro provides excellent visibility in all directions, unlike some other Kia SUVs. Though the Niro features regenerative braking that often receives many complaints, many reviewers claim the Niro’s brakes work well and can hardly tell they aren’t traditional brakes. The EX and higher trims receive blind spot detection and rear cross-traffic alert standard. If you try to use your blinker when a vehicle is present in your blind spot an audible alert will sound. The rear cross traffic alert will do the same when reversing. The lane departure warning will warn you if it senses you’re crossing lane lines. If its operation becomes obtrusive, you can simply switch it off with the dash mounted control. The available forward collision warning system and automatic braking features reduce the likelihood you’ll rear end a vehicle. They will alert you when you get too close to the vehicle in front of you a pre-charge the braking system to give you extra stopping power. These features lead us to believe the Niro is a safe choice in the subcompact SUV segment. Given it’s the Niro’s first year in production, there’s not a lot of information available about reliability. We’ll do our best to find pertinent information but many of our sources may be speculating. Much like Consumer Reports and JD Power, whom both offer 3 out of 5 predicted reliability ratings, indicating average reliability despite the fact that most Kias score better. So far, we’ve been able to collect some information from the National Highway Safety Administration which we’ll share with you momentarily. First, we must say that since this is Kia’s first hybrid it may suffer some unexpected issues, but the brand has been making very reliable vehicles recently so we hope we’re wrong. The NHTSA has recalled 135 Niros for a faulty motor-driven power steering connector that may cause power steering failure. Affected models will be repaired free of charge at any Kia dealer. Two complaints have been filed for the cruise control not working properly. When pressing resume, the Niro will accelerate instead of resuming pre-set speed. A third complaint was filed for a loose brake line. The last two complaints pertain to the aforementioned recall. Keep in mind these complaints can be issued by anyone and don’t have a rigorous verification process. The Technical Service Bulletins are better indicators of a known problem with a given vehicle. Two have been issued for the Niro. One is for some Niros that were produced from November 28th to November 30th, 2016 that left the production line without proper wheel alignment. The second advises technicians to “inspect for complete insertion and locking of the six battery management system module connectors on some 2017 Niro vehicles, produced from November 1, 2016, to January 13, 2017.” Given the information that’s available, we think the Niro will be a very reliable vehicle, as all these problems are rather minor and even the most reputable brands usually have horrifying complaints filed against them with the NHTSA. This may be the one time we don’t compare an SUV to an actual SUV. We’ve decided to compare the Niro with the Prius because the next closest hybrid SUV costs nearly ten thousand dollars more than the Niro. It wouldn’t be fair to compare the Niro with the RAV4 Hybrid or the Rogue Hybrid because they’re different machines, the Niro gets a whopping 20 more miles to the gallon. The Prius is the longtime heavyweight of the hybrid game and it’s due for disruption. However, Toyota’s legendary reliability and ubiquity on US roads will make it one tough champ to steal the belt from. We think the Niro may have just the right formula. The dual clutch six speed gearbox in the Niro makes it livelier to drive and feel more responsive than the Prius’ CVT. The downside is that, when pushed, the Niro’s fuel economy drops off steeply while the Prius’ remains relatively even. We’d gladly trade a few miles per gallon for the Niro’s passing power that’s there when you need it. Both offer “Superior” IIHS rated advanced safety technology. The Toyota offers it standard but is priced comparably to a safety tech equipped Niro. In the infotainment realm, both offer similar 7in systems that work well. The Toyota’s is smoother to operate but smartphone integration requires the Entune app that’s difficult to use while the Niro offers Apple CarPlay and Android Auto integration standard. We prefer the later, as do most reviewers. The interior fit and finish feel more upscale in the Niro, but some may prefer the tech-heavy futuristic design of the Prius. The seats are more supportive in the Kia but less comfortable. The second row legroom is about the same in both, Kia’s higher roofline provides better headroom. The Niro definitely has the edge in cargo capacity, though the Prius’ space behind the rear seat is greater. We couldn’t do a comparison between these two without mentioning their skin. Call us shallow, but no one can deny that Priuses have often been on the but end of jokes for the last 20 years. Call the Niro the anti-Prius because no one will make fun of this stylish little SUV! We may be a bit biased here at SUVs.com, but we’d definitely choose the Niro every day of the week. The Niro FE starts at $22,890 with a 1.6 Liter inline 4 cylinder full parallel hybrid system, AC synchronous permanent magnet motor, dual clutch automatic transmission with Sportmatic shifting, front wheel drive, gloss black radiator grille with chrome trim, black fender and rocker rail cladding, rear spoiler, body-color power outside mirrors, body color door handles, solar control glass, sound-absorbing front windshield, privacy glass, variable intermittent windshield wipers, heated rear glass with timer, auto light control, projector beam headlights, LED positioning lights, 16 inch alloy wheels with full cover, UVO 7 inch infotainment system with SiriusXM, Android Auto, Apple CarPlay, six speaker audio system, rearview camera, Bluetooth hands-free connectivity, USB port, auxiliary input jack, dual front 12-volt power outlets, 4.2 inch LCD driver information display, active eco system, tilt and telescopic steering wheel, keyless entry system with illuminated keyhole, dual zone automatic temperature control with driver only mode, automatic windshield defog, mood lighting, dual map lights, dual illuminated vanity mirrors, door scuff plate, cloth seating, 4-way adjustable driver’s seat, 60/40 split folding rear seat with center armrest, full length side curtain airbags, driver knee airbag, traction control system, electronic brake-force distribution, and front and rear crumple zones. There are no additional options packages available on this trim, but Kia would love to sell you some accessories. The LX trim has an MSRP of $23,200 and equips roof rails, LED tail lights, push button start, smart key with immobilizer, folding rear armrest with cupholders, luggage board with under floor storage tray, and availability of many more options. The LX Advanced Technology Package adds Autonomous Emergency Braking, a leather-wrapped steering wheel, a leather-wrapped shift knob, LED running lights, fog lights, smart cruise control, lane departure warning, and a forward collision warning system for $1,450. The $25,700 EX trim provides mirror mounted LED turn signal indicators, heated outside mirrors, power-folding outside mirrors, door handle pocket lights, Smart Welcome, LED daytime running lights, fog lights, blind spot detection system, lane change assist, rear cross traffic alert, rear USB power outlet, cargo cover, cloth and leather seat trim, heated front seats, satin chrome inside door handles, black high gloss interior accents, and leather-wrapped steering wheel and gear shift knob. The EX Sunroof and Advanced Technology Package equips a power sunroof, 10-way adjustable driver’s seat with 2-way lumbar support, Autonomous Emergency Braking, smart cruise control, lane departure warning, and a forward collision warning system for $2,300. The Touring Launch Edition receives sport black accents, a different grille, Hyper Gray 18 inch wheels, an 8 inch UVO infotainment system with voice activated navigation, a Harman Kardon premium surround system with Clari-Fi, 8 speakers, an integrated subwoofer, and a 10-way adjustable driver’s seat with 2-way lumbar support for $28,000. No packages are available on this trim but there are some accessories you can buy. The $29,650 Touring Trim installs a power sunroof, different 18 inch alloy wheels, front and rear parking assist system, front seat back pockets, stainless steel door scuff plate trim, leather seat trim, memory driver’s seat settings, ventilated front seats, and heated steering wheel. The Touring Advanced Technology Package costs $1,900 and furnishes High Intensity Discharge projector beam headlamps, a wireless phone charger, a 110-volt inverter, Autonomous Emergency Braking, smart cruise control, lane departure warning, and a forward collision warning system. The all new 2017 Kia Niro hybrid is certainly a success with few complaints so far, making it an optimal choice for those seeking the advantages and versatility of an SUV but still want to stay as green as possible with a hybrid. Although its MPG rating is highly impressive at 52/city and 49/highway, it doesn’t quite reach as high as the Toyota Prius; however, the Niro certainly wins with almost double Prius’s cargo space and overall fun drivability. It’s warranty also extends further than others in its class, we believe this to be an excellent value, even as you move up the trim levels.